Comparing performance to a year ago, this portfolio is down 50% mainly due to shares sales, while the while the NSE 20 share index is down 28% from February 2016. Another quarter when everything in the portfolio is down. Sold lots of shares after the banking law change. Unexpected Events: (1) The Nairobi Securities Exchange (NSE) was assessed as the worst- performing stock market so far in in 2017 so far according to Bloomberg – down 7% since January 1. While many believe it is due to the upcoming Kenya election, Bloomberg analysts trace the NSE portfolio decline to the devaluation of Egypt’s currency by 48% In November 2016, which resulted in some frontier market investors blocks switching over from Nairobi to Cairo. Still unable to sell portfolio shares in Rwanda (Bralirwa) and Uganda (Stanbic) – those markets are easy to enter, but harder to exit. Looking Forward to: (1) Bank results in February 2017 (2) launch of the long-promised and always-postponed M-Akiba bond – a mobile money treasury bond. This entry was posted in Egypt, Investing in Kenya, Kenya Airways, Kenya parliament, NSE investor awareness, NSE portfolio and tagged portfolio on February 6, 2017 by bankelele. Sports clubs have been in Kenya for over 100 years. The oldest is said to be Royal Nairobi that was founded back in 1906, and many of the other well-known golf and membership clubs, all started back in the 1920’s and 1930’s. They still rule to this day, many with memberships of a few thousand each, and they are seen largely as the preserve of the very wealthy. Applying to join a club is a formal process, through introduction, approval by other members (a period in which one’s mini-C.V is placed on a wall for others to review) and some applicants even have to be interviewed for suitability. The clubs started in the colonial era with a focus on activities like golf and hunting and with the large acreage mostly for male member sports. But today the needs of members have changed. The clubs are now on modernization sprees to accommodate the modern needs of their members. 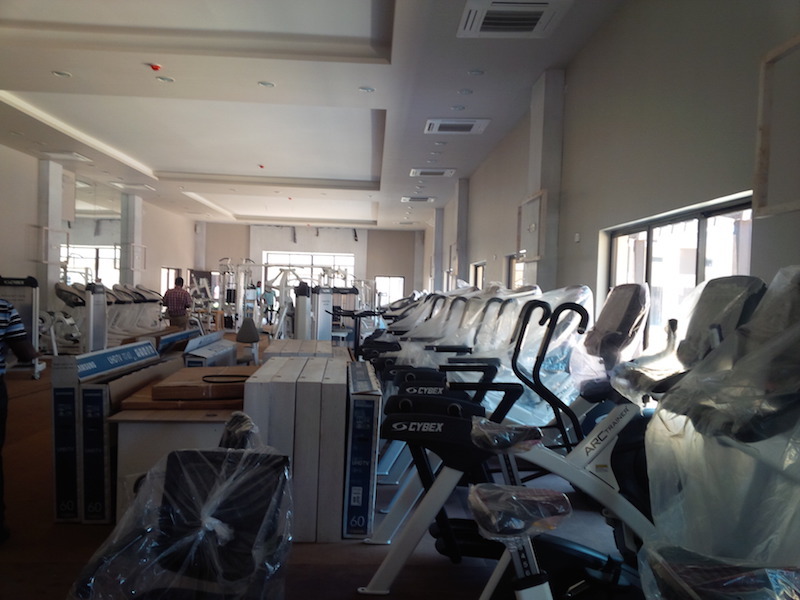 Some, which used to have large men’s only bars, are now re-doing clubhouses to better use the space, buildings and land they have, They have all had to re-invest in new facilities like meeting rooms, indoor sports equipment, gyms, restaurants and kids pools. 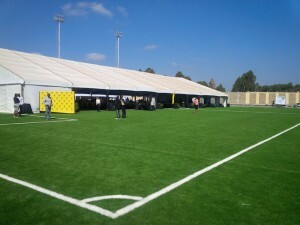 Wadi Degla clubs have modern designs that take into account the sports, social and leisure needs of modern families. Today sports club members, both male and female, desire the exclusivity of the clubs for networking and for business. 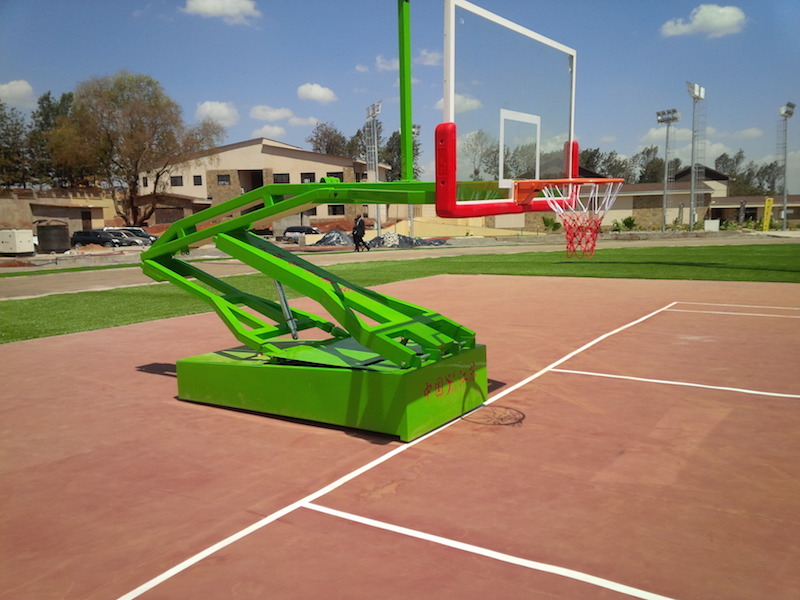 They want facilities to exercise, and also for their children and families to also enjoy and perhaps get specialized sports training. Wadi Degla has a lot of these, with heated swimming pools (including an Olympic-size one), running and walking tracks, and exercise gyms for up to 200 people. 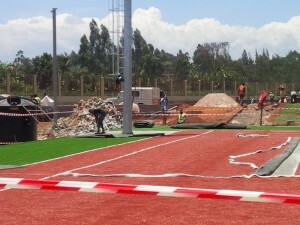 They have business lounges and restaurants, top spas, shopping and kids training clubs to get specialized training in sports like soccer (by Arsenal Soccer), tennis, squash and (in Kenya) athletics – which will be done by Kenyan marathon champion Douglas Wakihuri at a new running school. They will have access to the five facilities in Nairobi including an 18-hole golf course and the largest gym in East Africa. Wadi Degla also targets expatriates (expats), and people new in the country.e.g. 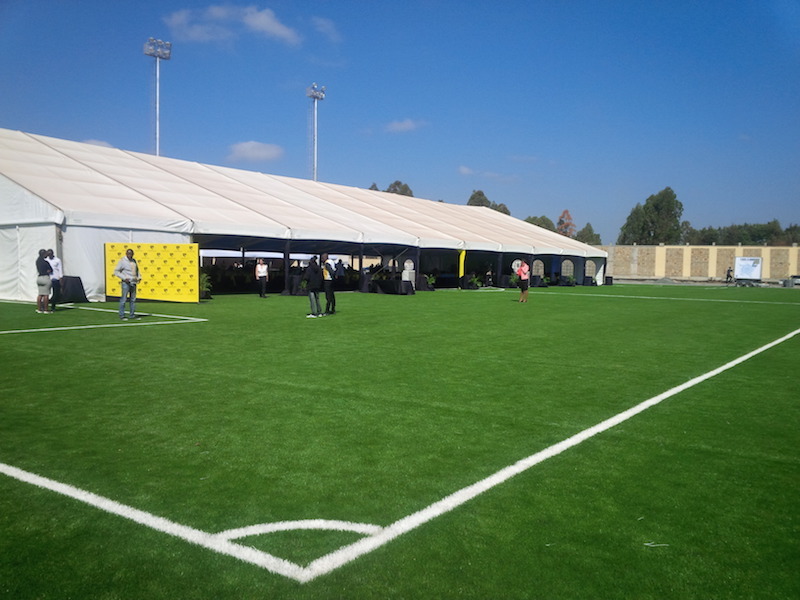 all the engineers and managers building infrastructure and running companies around Kenya, They may not know the ropes of the city, or have people to introduce them to networks to get into other other clubs, but they can at Wadi Degla. They also have special plans for expats and expat families can pay special fees that match the duration of their stay in Nairobi. For others who travel and live for long periods in different countries in the region, there is a provision for a member to commute (suspend) their membership while they are out of the country. There are finance plans to ease payments for members, and there’s an ongoing discount on the one-off joining fee of Kshs 923,000 fee (~$9,230) for membership that allows access to all the clubs. They also allow up to 9 family members, and the cost is a total of Kshs 1.2 million for a typical family of four. Each family person gets their own card membership card and can access any of the clubs, and when kids become adults, at 21, they can graduate to full membership at about 1/3 of the cost. 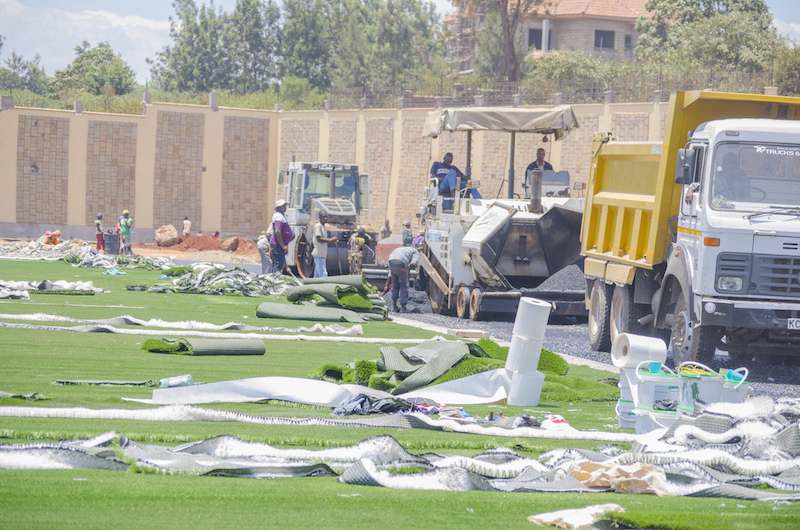 The costs are in line with the other top membership clubs in Nairobi where the joining fees range from between 300,000 – 500,000 per person), and while the joining fees are a bit lower, they have more capital raising and additional fees to fund infrastructure modernization projects. 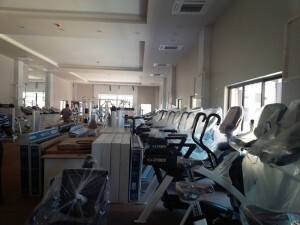 The discount on the membership runs through October 13 when the first Wadi Degla facility opens in Runda. This entry was posted in Egypt, Investing in Kenya, Nairobi cost of living on October 11, 2016 by bankelele. A guest post by @g33kmate who made a recent visit to Cairo, Egypt for the Maker Faire Africa 2011 event. 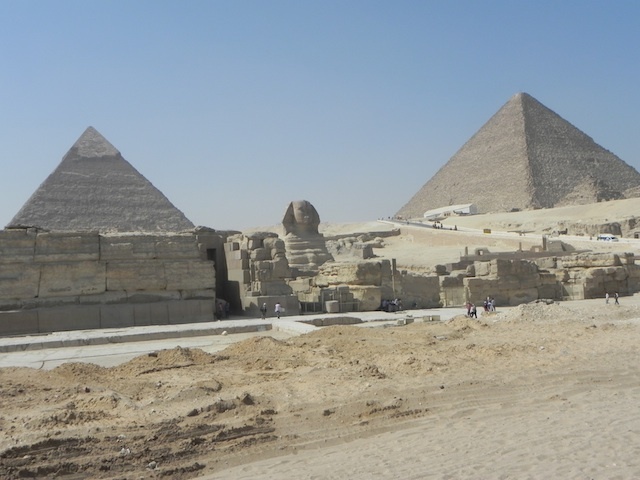 Getting There: Several airlines fly to Egypt from Nairobi including Egypt Air, and Kenya Airways at a cost of ~Kshs. 70,000 (~$700) for a return ticket, as well as others, that may be cheaper, but not direct such as Gulf carriers and Ethiopian Airlines. At Cairo Airport, clearing at the airport was pretty fast, there was no hassle; in fact it took less than 15 minutes from disembarking from the plane to being out of the airport. Getting Around: There are two main types of taxis – those with meters (painted white with checked stripes on the side), and those without (usually painted black with a white line). 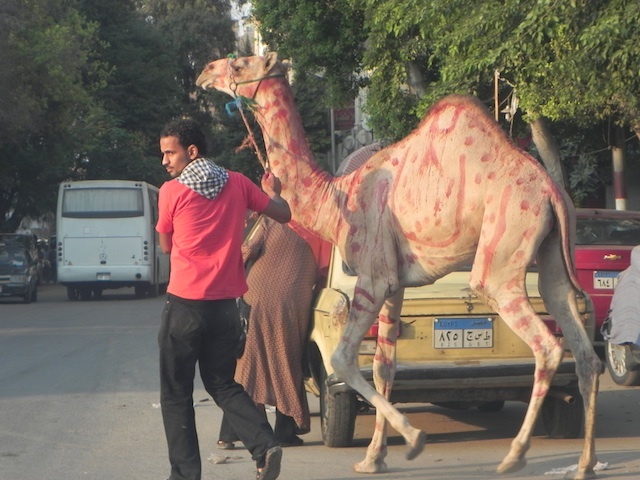 The taxis with meters are cheaper, costing about 5 Egyptian Pounds (~Kshs. 125) for 4 KM. The ones without meters tend to be more expensive as the drivers decide on the pricing. Other transport options include government buses, as well as hotel taxis, which are very expensive (not the buses), mostly ranging from US$20 (~Kshs. 2000) and prefer to be paid in dollars. Cab drivers will try to convince you that the streets are insecure just so you can take their cab service but having walked around, I did not feel any sense of insecurity, apart from the evenings when all you find in the streets are crowds of men, but everything else looked calm, with no incidents. The local language is Arabic with just a handful of English speakers. Most if not all of the printed press I saw was in Arabic. Keeping in Touch: For communication, I was able to use my roaming service on both Safaricom and Airtel but ended up getting a local SIM card as it was cheaper to use. With a local provider, Mobinil, local calls cost me 90 Piastre per minute, an equivalent of ~Kshs. 22 and for international costs, there was a day I called Kenya for 4 minutes and spent about 50 pounds which is an equivalent of ~Kshs. 1,100. As most people use their Blackberrys for internet, there are a few cyber cafes, unlike like the hundreds in the streets of Nairobi. Where to Stay At the Baron Hotel, which is a really nice hotel that costs $150 per night. There was also Wi-Fi at the hotel. Shopping & Sight-Seeing: Getting around each day cost about 20 pounds (equivalent of about Kshs 500). 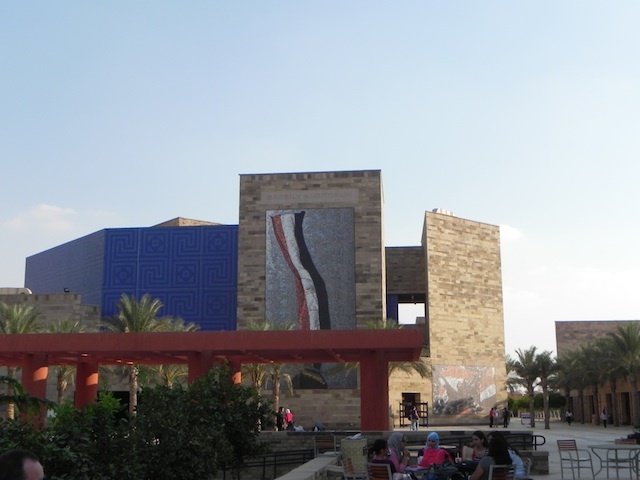 The main shopping area is downtown Cairo was at the mosques and the Pyramids and the other site to see besides the Pyramids, was at Alexandria City. Business & Infrastructure: Electricity is reliable, and it was there every single day with most parts of the city well lit. I hear it’s cheap too and solar is not very popular! 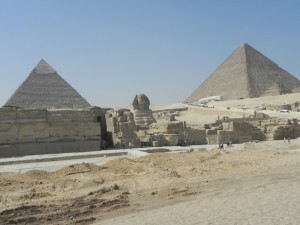 Most of the architecture is very amazing and very old ancient Egyptian. Also, it’s amazing that the tallest building I saw was about ten storeys. 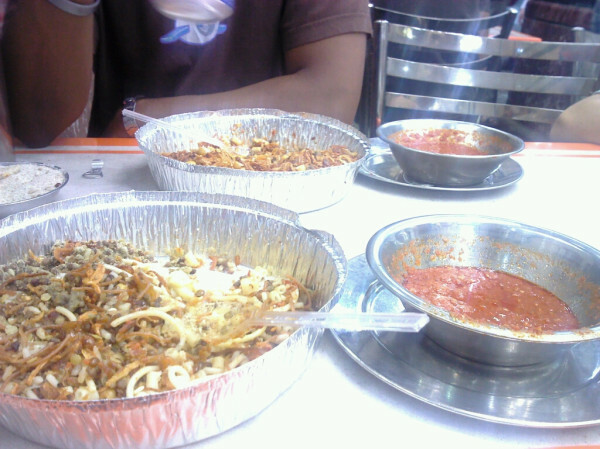 Food & Bars: The Local dish is Koshary, which is a very interesting dish of pasta, rice, macaroni, peas and a few other ingredients mixed and served with tomato, garlic and vinegar sauce. Beer is not very popular especially being a Muslim community but they take bitter tea and smoke cigarettes a whole load! The talk now is about the revolution and the life that is going to come or what is expected after Mubarak. Local legends are everyone who was in the revolution! Shockers: The separation of the sexes. Men are more open to hanging out and working with men, but you hardly find any women in the midst of men. Men hug and kiss on the cheek every so often before and after a conversation and the best they give with women is a handshake. This also applies to the women. The other big surprise is how friendly everyone is. 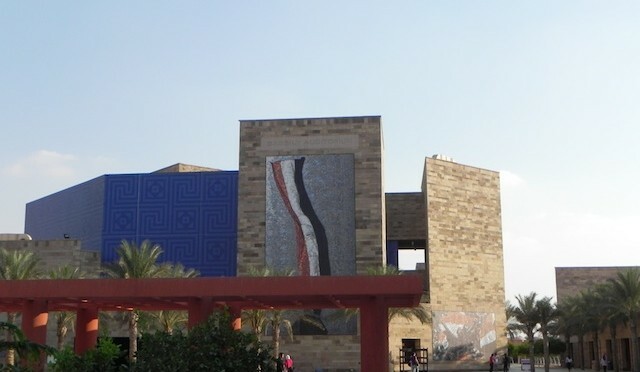 Egypt is depicted as a very unfriendly country especially as most of them don’t believe they are in Africa, but the people in Egypt are all very nice and welcoming. One word AMAZING! 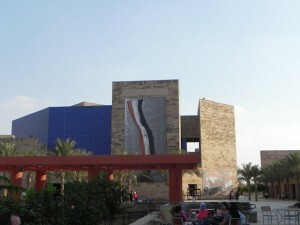 This entry was posted in Egypt, guest post, Kenya domestic tourist, TIA on October 11, 2011 by bankelele.